Book Review: 'American Spy,' By Lauren Wilkinson Lauren Wilkinson's debut novel follows the life and career of an African American FBI agent who's recruited by the CIA to aid in the overthrow of a charismatic African leader. On the very first page of American Spy, narrator Marie Mitchell, a former FBI agent, hears a noise in her house. Deciding it's best to be cautious, she grabs her handgun, right before her worst fear is confirmed — a man with a gun enters her bedroom. There's a struggle; Marie ends up with a few broken blood vessels in her cheeks, and the stranger ends up with a bullet in his head. Clearly, Lauren Wilkinson doesn't believe in wasting time. Her first novel starts off with a literal bang, and never once lets up. American Spy is a beautifully paced spy thriller as well as a promising debut from a writer who's not content to rely on the settled tropes of any literary genre. American Spy is framed as a letter from Marie to her young twin sons, who are in the house at the time of their mother's attempted assassination. After the attack, she whisks the boys away to Martinique, the Caribbean island where her own mother lives. She knows her sons will one day wonder how their mother found herself in this situation; the letter is meant to address that: "I'm writing this to give you honest answers to the questions I hazard to guess you'll ask while you're growing up. I'm writing it all down here just in case I'm not around to tell you." The novel goes back and forth in time, alternating between Marie's upbringing in New York in the 1960s, her career as an FBI agent in the late '80s, and her retreat to Martinique in 1992. She and her beloved sister, Helene, were raised mostly by their police officer father; her mother had abandoned the family when the two girls were young. Marie decides to join the FBI out of college, influenced by her sister's lifelong dream of being a spy. Marie is good at her job, but is stymied in her attempts at career advancement by the white men in charge who are suspicious of her as a black woman. "A sense of self-importance permeated the culture," Marie explains. "So did machismo and knee-jerk conservatism. ... Very few of those men understood having no choice about whether they were political or not: Unlike me, they weren't people who'd had their existence politicized on their behalf." She sees a possible way out of the bureau when a CIA officer recruits her to cozy up to Thomas Sankara, the leftist president of Burkina Faso, whose administration the American government is trying to overthrow. The CIA wants Marie to ascertain how much Sankara (a real-life figure) knows about America's involvement in his opposition, and possibly seduce him — Marie has misgivings, doubting the CIA's motives, but accepts the job anyway. She doesn't expect, however, to be charmed by the revolutionary politician: "It wasn't enough to call what he had magnetism," she explains. "The way he could make you feel. It was like he saw a version of you that was even more perfect than the version you saw of yourself. It was very generous. And it made you feel special, that reminder of your better angels." Wilkinson packs a lot of plot into American Spy — Marie's mission is complicated by lingering questions about the mysterious death of her sister, whose close friend becomes her boss in the operation that takes her to Burkina Faso. But Wilkinson handles the several threads in the novel deftly, and she has a real gift for pacing — never once does the book flag or get bogged down, and it's never needlessly complex or confusing. Wilkinson doesn't shy away from the moral ambiguity of American adventurism in the 1980s, and neither does her unforgettable narrator. She also provides a unique spin on the Cold War spy thriller. There's no shortage of novels featuring the red-blooded American heroes trying to save the world from the dastardly Soviets, a well-worn trope that became a literary cliché sometime in the 1960s. But American Spy is the opposite of that — Wilkinson doesn't shy away from the moral ambiguity of American adventurism in the 1980s, and neither does her unforgettable narrator, Marie, who tells her sons, "One thing I can say for sure is that I don't want you to be moral absolutists. If what I'm telling you of our story means to you that the people it involves are either saved or damned, then you'll have misunderstood me." 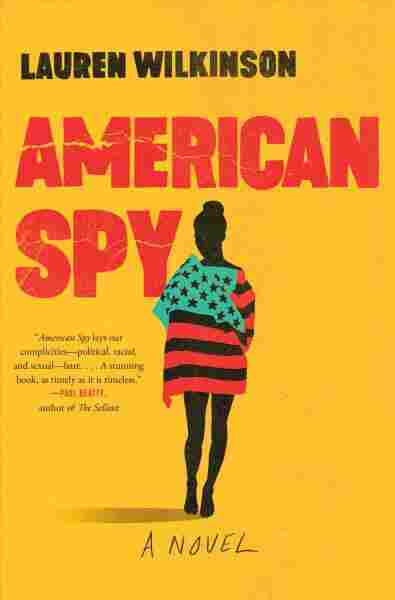 American Spy works on so many levels — it's an expertly written spy thriller as well as a deeply intelligent literary novel that tackles issues of politics, race and gender in a way that's never even close to being heavy-handed or didactic. Above all, it's just so much fun to read — like the best of John le Carré, it's extremely tough to put down. It marks the debut of an immensely talented writer who's refreshingly unafraid to take risks, and has the skills to make those risks pay off.